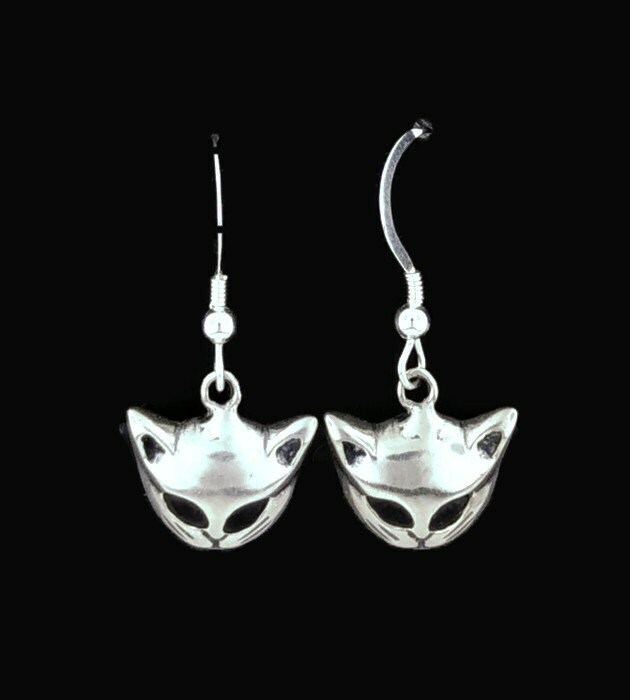 These are a pair of handmade sterling silver cat head dangle earrings. 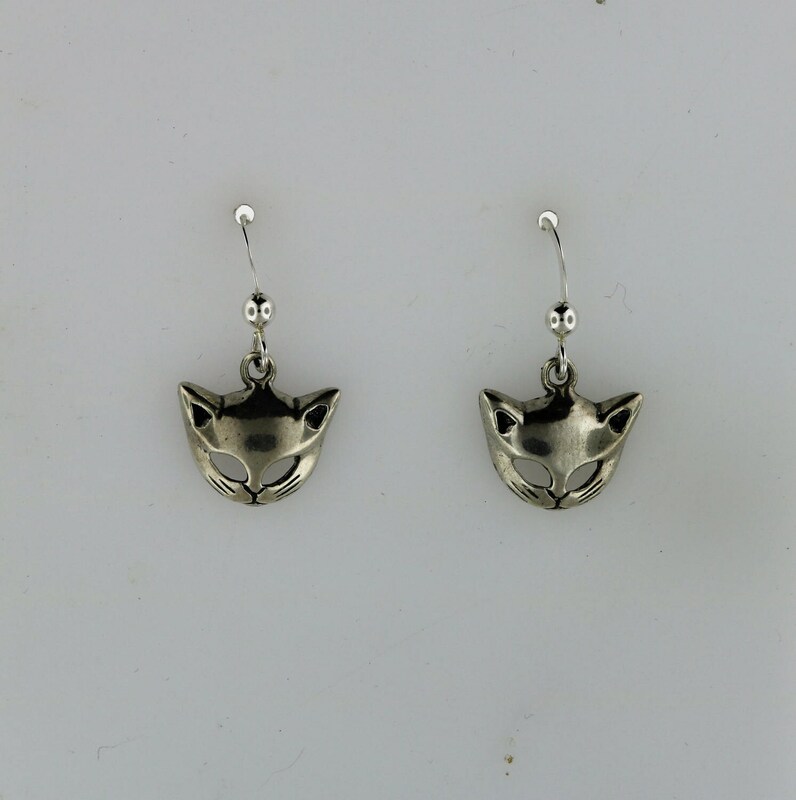 They are 1.5 cm wide and hang from sterling silver ear hooks. They were made to match the adjustable cat ring I make. 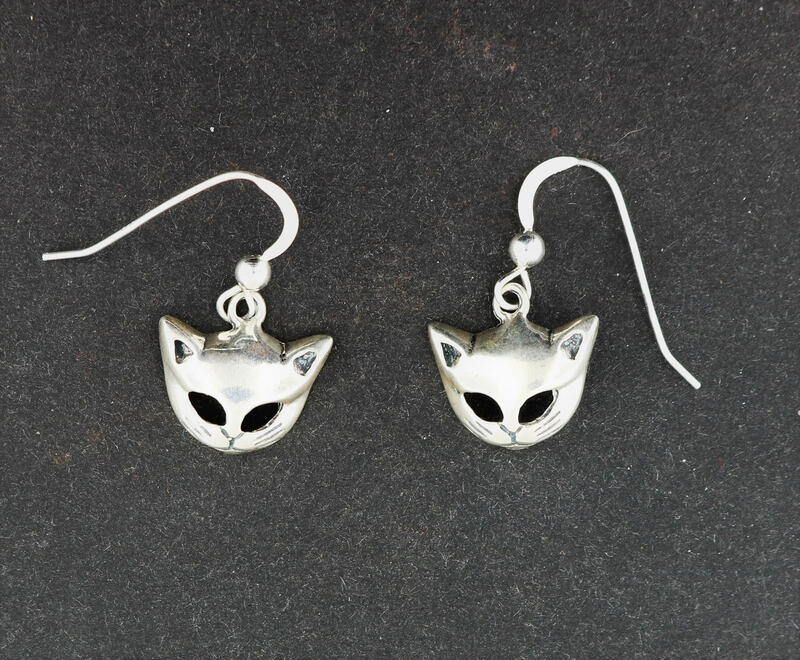 Perfect for every day wear, and a perfect gift for any cat lover! These are beautiful. Very well made. The only suggestion I would have would be to put them on leverbacks instead of hooks. Didn't take that long for them to make all the way across the U.S. to Washington!